What Is the Value of My Herniated Disc Injury Case? When you have an injury like a herniated disc from an accident, you have a lot of questions. The most important? How much is my case worth? The "value of my case" question is the most important question victims have. Justice under our system is about money. No one can take away your injury and your pain. The only compensation you can get for the harms you have endured is money. This country was founded incorporating this very idea. So victims understandably focus their energies on how much money they will get for their suffering. You will not find the exact value of your claim. There are just too many factors involved to make that prediction. While there are three huge variables -- the jurisdiction, the insurance company, and the strength of the objective injuries -- that are just too many variable to believe that there is some formula you can use to calculate the value of a herniated disc injury case. But what we can do is give you information to understand better the settlement range of your case. There are two ways to do this: statistics and average jury verdicts and settlements. 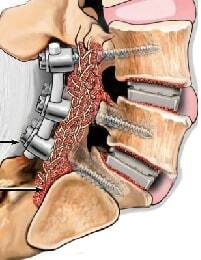 The average verdict nationally in herniated disc injury cases is approximately $360,000. There it is. The average. But it does virtually nothing for you, particularly in herniated disc cases. Why? Because at least in wrongful death cases, the injury is largely the same. Saying you have a herniated disc from an accident can mean a lot of different things. It might tweak you a little bit when you lift something heavy. It also might be a debilitating injury that destroys your life. The take home message is you can take two herniated disc cases where the injuries look identical on an MRI but how the injury impacts the victim's life are polar opposites. So the average values, which are never particularly instructive anyway, lose almost all meaning. Why do we provide it in the first place? People want to see the number, even with that caveat. Below are more accurate values that slice the numbers even further. But even these have only marginal utility. This is a listing of recent settlements and verdicts in herniated disc injury cases around the country. Is this a perfect guide for ascertaining the value of your claim? Of course not. But in conjunction with other tools, it does help victims and attorneys better understand the range of values of an out-of-court resolution or at trial. It is also important to remember if you have a worker's comp case, the settlement values are different and much likely lower than what you would expect in a personal injury claim. We practice primarily in Maryland. Elsewhere on our website, you can find a number of Maryland herniated cases injury cases, most of which is our law firm's verdicts and settlements. January 2018, Florida: $660,000 Verdict: Plaintiff gets broadsided by a delivery truck at a busy intersection in Jacksonville. An MRI shows cervical disc herniations which require anterior discectomy fusion and plating (ACDF) at two levels of his cervical spine. This surgery requires the surgeon to enter through the throat. This is an important element of damages in these cases. Like most car accident, cases, the defendant accepts responsibility for the crash but fights hard on the extent of plaintiff’s injuries. There always seems to be a doctor the insurance company can find who will tell the jury that the victim is fine now. Thankfully, the jury does not buy this defense. They find the plaintiff’s injuries are permanent and award $660,000 in damages. August 2017, Florida: $70,000 Verdict: Plaintiff is violently rear-ended by defendant after coming to a stop at an intersection in Broward County. She suffers various neck and back injuries including a cervical disc herniation with continuing neck pain and bilateral hand numbness and tingling. Defendant claims that the disc herniation is the result of a degenerative condition and not the accident. This is another very common defense argument because so many of us have degenerative changes in our disc that we do not even know we have. The case goes to trial. In this case, the jury seems to buy the defendant's argument and awards only $40,000 in damages. May 2017, Michigan: $329,000 Verdict: Plaintiff collides with defendant at an intersection and suffers disc herniations and annular tears. He undergoes facet rhizotomy (a procedure that uses a radio frequency probe to destroy some of the nerve fibers causing pain) to both his lumbar and cervical spine. The defense claims that his injuries are non-permanent in nature. The jury views the injuries as permanent and awards damages of $329,000. April 2017, Florida $16,000 Verdict: Plaintiff is hit in a side-impact collision after the Defendant fails to yield in downtown Miami. Alleged injuries include a herniated cervical disc and a fractured rib. Defendant admits fault but disputes the extent of the damages and claims they are attributable to pre-existing conditions. The jury finds the injuries are non-permanent and only awards $16k. January 2016, Florida: $581,458 Verdict: Defendant takes a left-hand turn in front of the Plaintiff. He herniates two cervical discs at C5-6 and C6-7 in the crash. He receives physical therapy, chiropractic treatment and is expected to need future surgery. The jury awarded $232,000 for pain and suffering. The rest of the damages were for his past and future medical bills and lost wages. Looking through the prism of economic losses versus pain and suffering, it is surprising the jury did not award more money. January 2016, Illinois: $421,456 Verdict. A 50-year-old male slipped and fell on a wet floor at a Ford dealer. He tore the meniscus in his knee and herniated the disc at C5-C6. The jury found the Plaintiff 5% at fault for his injuries which reduced the award to $400,353. February 2015, Missouri: $143,000 Verdict. A woman was hit by an uninsured driver and suffered a herniated disc. Plaintiff brought an uninsured motorist claim against Cornerstone National Insurance. She also brought a claim of vexatious refusal to pay, a cause of action we wish we had in Maryland. The jury awarded $100,000 on her claim for injury claim and also awarded $33,000 in attorneys' fees and $10,000 for Cornerstone's failure to make payment when they should have. June 2014, New Jersey: $800,000 Settlement: A man slipped and fell in a food court in Edgewater. He injured his knee and his lower back. He was treated and discharged from a local ER. The man then sought treatment with an orthopedist shortly after that. He was treated for a torn right knee meniscus and disc herniation in his back. He underwent arthroscopic surgery three months later and then a lumbar fusion for the disc herniation the following year. He sued the market owner and the company responsible for cleaning and maintaining the market for negligence. Plaintiff claimed accumulated water created a dangerous condition that the Defendants should have known about. The parties agreed to settle during mediation for $800,000. April 2014, New York: $1,500,000 Settlement: A 51-year-old pedestrian was crossing the street and was struck by a vehicle making a left turn. In spite of the pain in her knees, back, neck, and shoulder, she waited two days to see a doctor. She was diagnosed with two cervical avulsion fractures, ligament tears in her knee and shoulder, lumbar and cervical disc herniations, and lumbar disc bulges. Her injuries required months of physical therapy as well as a cervical fusion. She filed a lawsuit against the driver for negligence and failure to maintain proper caution while turning. Defendant had fled the scene when a fire truck arrived because she said she did not hit the Plaintiff. Her insurance company apparently disagreed and settled the case for $1.5 million. April 2014, New York: $100,000 Verdict: Another New York pedestrian case. A 46-year-old cashier was crossing the street when she was struck by the Defendant's car. She was rushed by ambulance to Woodhull Medical Center where she was bandaged and given crutches. She was later diagnosed with cervical and lumbar disc herniations. She sued the car’s driver and owner for negligence. Plaintiff claimed the police report noted that the incident occurred in the crosswalk and that Defendant Driver acknowledged he did not see her. Defense counsel argued that the Plaintiff was not in a crosswalk at the time of the accident and that the paramedic report indicated Plaintiff emerged from between two parked vehicles when entering the roadway. Defendants also argued that the herniated discs were degenerative conditions and unrelated to the accident. A King Supreme jury found the Defendants liable but went light on damages, awarding the Plaintiff $100,000. March 2014, Illinois: $12,500 Verdict: A 53-year-old man was rear-ended by a school bus. He was taken by ambulance to Advocate Christ Medical Center and diagnosed with soft-tissue injuries in his neck. He sought treatment with an orthopedic doctor where he was eventually diagnosed with three cervical disc herniations. The man sued the bus driver and his employer, claiming the collision was caused by Defendant Driver who was following his vehicle too closely. Defendants denied the accident even occurred, and that Plaintiff did not sustain any injuries. A Cook County jury found for the Plaintiff for $12,500. Obviously, the jury did not believe the herniated discs were caused by the motor vehicle collision. March 2014, New York: $1,350,000 Settlement: A 30-year-old man entered an elevator of his apartment building in Queens when the ceiling hatch door fell on him. He was taken by ambulance and treated for pain in his back, head, and neck. He was diagnosed with neck and back disc herniations that required over 18 months of physical therapy as well as a spinal fusion. He sued the premises’ manager and the elevator company for negligent care and maintenance of the elevator. Plaintiff claimed the Defendants created a dangerous condition by not properly securing the hatch door after recent repair work. Defendants both denied negligence, claiming the repairman did not do anything that would have caused the door to fall. The parties settled before trial for $1,350,000. January 2014, Florida: $1,300,000 Settlement: A 50-year-old woman was driving on a perimeter road near the parking lot at Palm Beach Gardens Mall when a driver attempting to leave the lot struck the front, driver’s side of her vehicle. She was taken by ambulance to a local hospital where she was treated for pain in her left shoulder, neck, back, and both wrists. She was referred to an orthopedist who diagnosed her with herniated lumbar and cervical discs, a torn rotator cuff in her left shoulder, and aggravation of pre-existing carpal tunnel. She underwent 16 months of physical therapy. She sued the driver for negligence, claiming that he failed to maintain a proper lookout while attempting to exit the parking lot. Defendant argued the Plaintiff had a kidney transplant operation before the accident and that some of her physical problems were related to her long-standing kidney failure issues. The insurance company eventually caved and paid $1.3 million. January 2014, Georgia: $100,000 Settlement: A 45-year-old woman was attempting to make a left turn from GA Highway 154 onto Highway 34 one evening when a vehicle traveling in the opposite direction collided with her vehicle. She sought treatment for back and neck pain and was diagnosed with cervical disc herniations that required three epidural injections. Her treating doctors recommended fusion surgery, but she did not have any insurance. She sued the driver of the vehicle for negligence as well as her insurance carrier, AMICA Mutual Insurance, for underinsured motorist benefits. Plaintiff claimed Defendant Driver did not have his headlights activated before the collision and had sped up to the intersection after exiting at a nearby gas station. A police officer who witnessed the collision corroborated the Plaintiff’s account. Defendant AMICA argued the extent of Plaintiff’s injuries, claiming Plaintiff suffered from pre-existing degenerative conditions that were unrelated to the accident. Both parties agreed to settle with Plaintiff for a combined $100,000 recovery. January 2014, New Jersey: $1,625,000 Settlement: A 40-year-old delivery truck driver was rear-ended by a tractor-trailer on Interstate 80. He was taken by ambulance to Hackettstown Regional Medical Center where he was treated for back and neck pain. 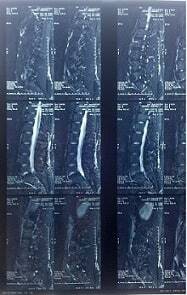 He was referred to an orthopedist who diagnosed him with cervical and lumbar disc herniations. He underwent months of pain management, a total of six epidural injections, and a bi-level decompression fusion surgery. He sued the driver of the tractor-trailer and his employer for negligence, claiming that due to the driver’s negligence, he is unable to work. The trucking company had no real defense and agreed to a pre-trial settlement of $1.625 million. January 2014, New York: $60,000: A 55-year-old hair stylist was a passenger in a vehicle that was rear-ended on the Bronx River Parkway. She was treated for an intervertebral disc herniation, cervical bulges, and a tendon tear in her right shoulder. She underwent arthroscopic surgery on her right shoulder and over eight months of chiropractic treatment. She sued the driver for negligence, claiming that due to her injuries she was unable to work for ten weeks, and consistently suffers residual pain and limitations. Defendants did not deny liability but argued that this was a minimum impact case. Plaintiff obviously believed there was some merit to the argument because the case settled for only $60,000. January 2014, New Jersey: $115,000 Settlement: A 52-year-old engineer was driving westbound on Lakeview Avenue in Piscataway when an SUV crossed in front of his vehicle while attempting to turn left onto Washington Avenue, resulting in a collision. The man was taken by ambulance to a local ER where he was diagnosed with both cervical and lumbar disc herniations. The injuries required 18 months of chiropractic treatment and physical therapy followed by an anterior cervical discectomy and fusion. He was able to return to work, but only temporarily with light duty. He sued the driver of the SUV for negligence, claiming he suffers from a decreased range of motion and will most likely apply for permanent social security disability. The parties agreed to settle before trial for $115,000. Need a lawyer for your case? Call 800-553-8082 or click here for a free consultation.